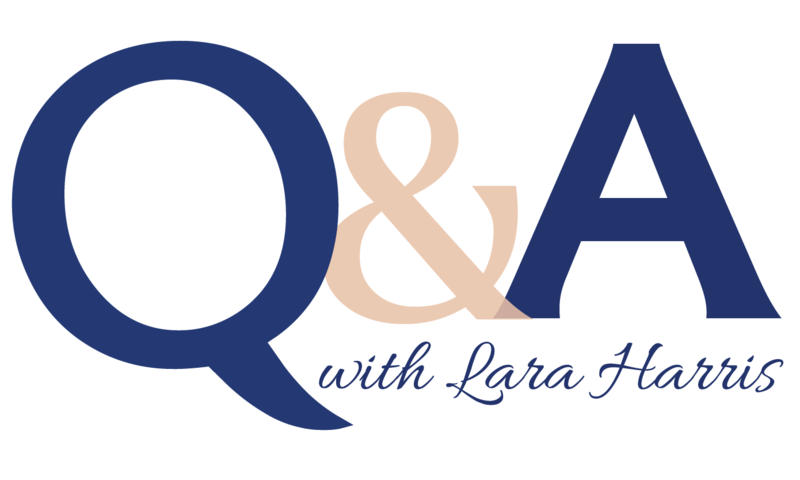 Lara Harris serves as the director of Campus Services at Concordia Seminary, St. Louis, where she has been on staff for seven years. She began as an assistant and also served as an event coordinator before her promotion to director in 2013. She is married with two young children and is currently studying for her Master of Business Administration at Maryville University. She has one dog named “Princess,” a husky mix her family adopted from a local shelter. Tell us about your areas of responsibility? I supervise many of the Seminary’s day-to-day auxiliary services — Residential Services (including the Food Bank, Re-Sell It Shop and dining services), campus events, campus tours, the Mail Room, Copy Center, Welcome Center, switchboard operations and purchasing. I also serve as administrator of faculty housing and as a member of process improvement groups and planning committees for various parts of campus. In 2016, I helped form the Seminary’s first Title IX Team, obtaining certification through the Association of Title IX Administrators as a Civil Rights Investigator. My favorite part of my job is the wide variety of projects on which I get to work across campus. I get to work on everything from seeking proposals for projects to decorating Christmas trees. You play a key role in some of the Seminary’s largest events like Call Day and Commencement. How do you manage the myriad of details? Organization and communication are key, but I am blessed to work with a great group of people across campus who all contribute to the success of these events. The Campus Services staff and student workers know that these events mean all-hands-on-deck and they pitch in wherever they are needed. As I say in my thank you notes just about every year: The planning that goes into the events for these couple of days is nothing compared to all of the time that our faculty, staff and the Seminary’s various partners spend preparing our graduates for their future ministry. In a word, fluid. My schedule is never set in stone. In the last few weeks I have been working on campus surveys to gain some feedback from our community on the services we provide. I have been analyzing those results and compiling them into action plans for the future. I also have been working with Technology Services on developing a guest housing reservation system to help us better track room usage and improve administrative and labor efficiencies. And just yesterday, my calendar sent me some Commencement and Call Day planning reminders. What did you do before joining the Seminary staff? I am a native St. Louisan but after high school I studied art at the University of San Diego. After graduation I realized that the cliché of the starving artist exists for a reason! I returned to St. Louis and worked on commissioned murals for people’s homes while waiting tables until my husband and I bought a neighborhood bar and grill. Over the next seven years, we owned three small businesses: a restaurant, a catering company and a retail pilot supply store. We have since sold the businesses and moved on. I still love to paint and encourage my children to express themselves through art. My greatest role model is my mother. She was diagnosed with breast cancer shortly after I was born and passed away when I was nine due to complications from the disease. My mother had five children and she managed our crazy house and her illness with calmness, grace, optimism and just the right amount of humor that I hope to emulate with not only my kids, but with everyone around me. How do you manage the work life and family balance? I try very hard to plan out my days in blocks of time. Whenever possible, I try to keep weekends free of work and homework so I can have some unstructured time with family. What is your most significant project or accomplishment at the Seminary? Last year we implemented Event Management Software (EMS). Our old system was clunky and did not serve our needs well. Technology Services was great to work with and guided us toward a better solution that has been much more user-friendly and intuitive. Our single-student dorm received a fresh coat of paint, new window treatments and new lounge furniture this year that I think the students really appreciate. We also recently upgraded our Mail Room equipment and software. This may not be something that the average person thinks is exciting, but our staff is happy with the high-tech switch! What does this year’s academic theme from Isaiah 6:8, “Here am I! Send me,” mean to you? It speaks to our need to practice servant leadership. I serve the vision and mission of the Seminary by serving the people. That also means being open and willing to serve when and where I am needed most. Carly Hebron is a St. Louis-based freelance writer.